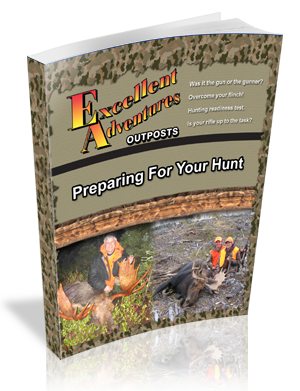 If you want to hunt in areas have been seldom or never hunted, this is the package for you. The moose hunting zones are 80 to 120 miles from the nearest road, so don’t expect to see anyone else. We Were Featured On The Ontario Experience, Check It Out! We choose areas where you will be the only hunters on the lake. 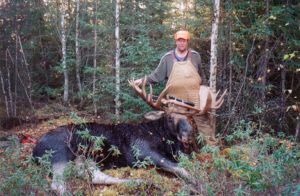 The moose population is excellent and is definitely not over-hunted as no one hunts these areas but ourselves. Hurry, Moose Hunts are almost sold out for the 2019 season! 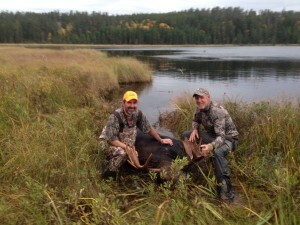 We recently aquired new tags for more Fly-in Moose Hunting package options, just north of Red Lake, Ontario. 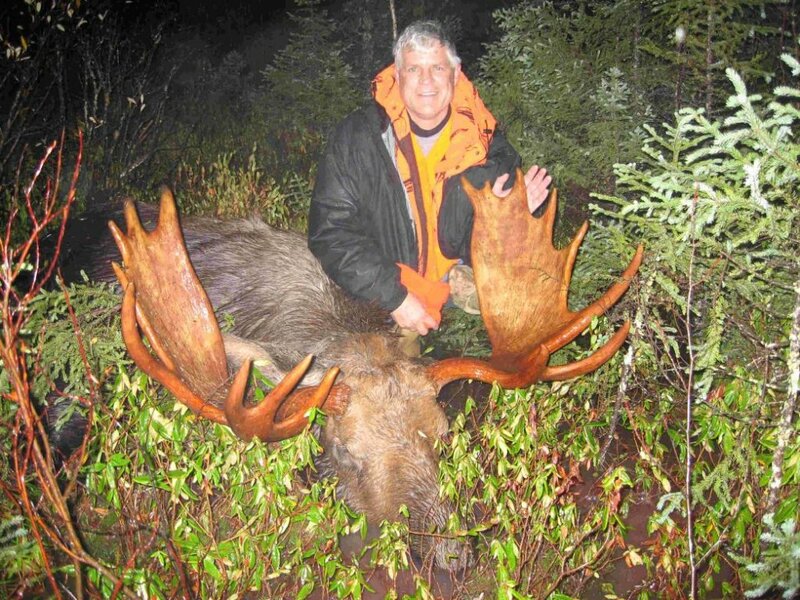 The largest percentage of our Moose Hunts are bull tags. Our tags are sold on a first come first serve basis. We have a set allocation of tags and we always sell out in advance. 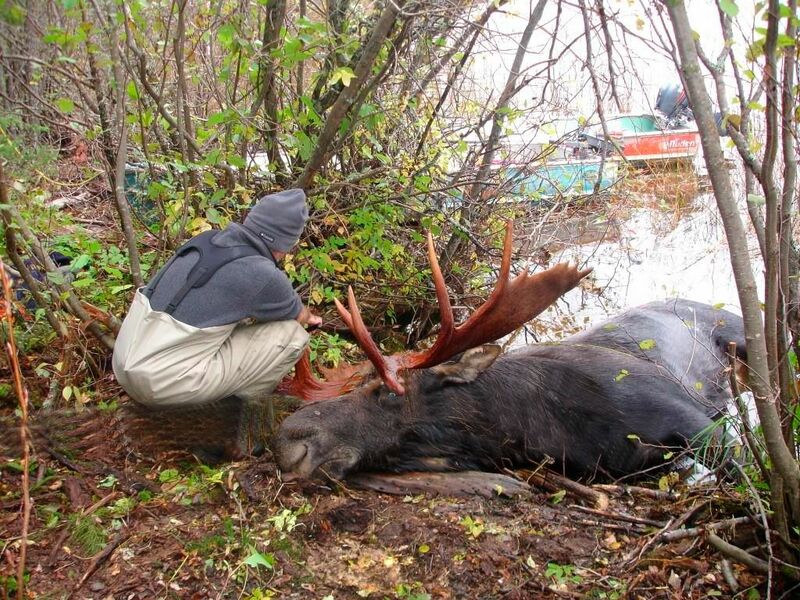 Call us to book your adult moose tag and we will ensure it is assigned under your name. Ask About All Inclusive Hunts: All inclusive hunts are full service packages. You bring clothing, gun and ammo, rod and reel, and personal items and equipment. We do the rest. 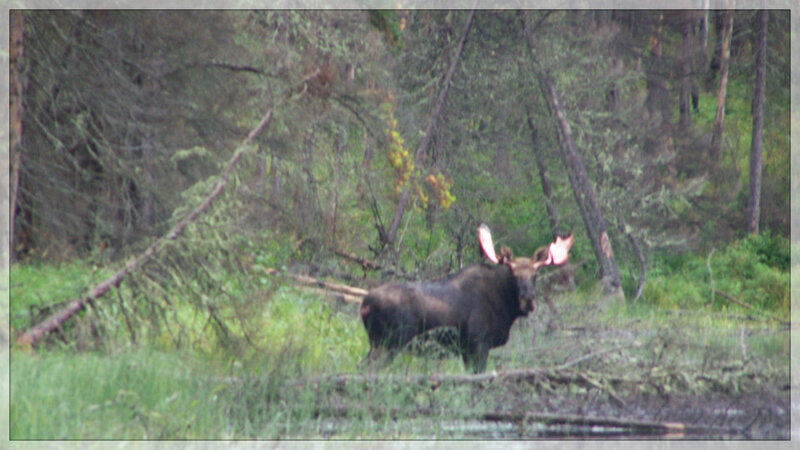 Have you ever seen a bull moose moving swiftly through the forest? Would you like to see one? That experience can be yours. 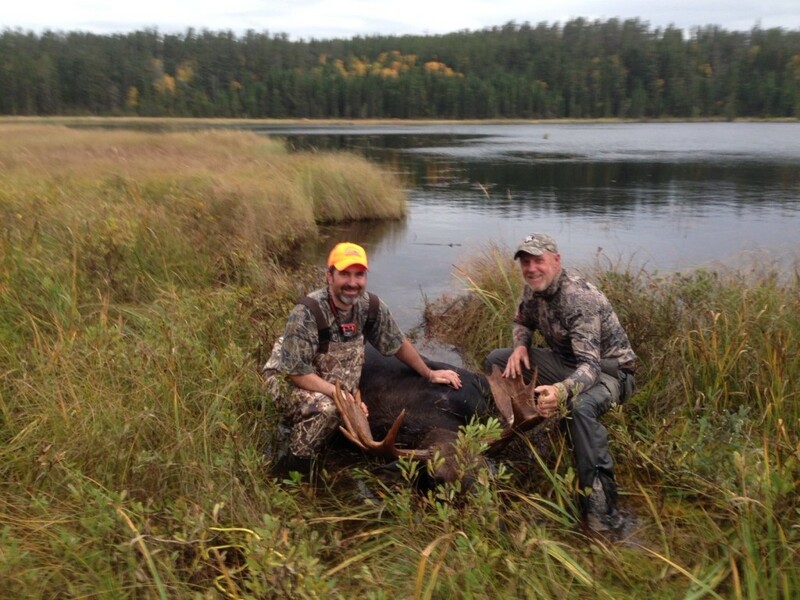 At Excellent Adventures we pride ourselves in knowing that we have one of the best moose hunting available! Equipment Check: Check over your kit. Make sure you have sighted in your rifle in advance. Get some practice at your local range before you depart. It would be a shame to waste a few thousand dollars for the sake of a badly aimed $2.00 bullet. Your hunting partners would never forgive you! Be sure to read our guide Preparing For Your Hunt. The guides are experienced and have worked for us and are known to be some of the best in the area. We choose them too because they are especially good at calling moose during the rut. They are prepared to make your Canadian Moose Hunt a success. The guides are very good outdoor chefs and will prepare all your meals, so plan on being fed like a king. They will scout the area, call, quarter, & dress your moose; about everything else you can think of when it comes to making your hunt successful and enjoyable. 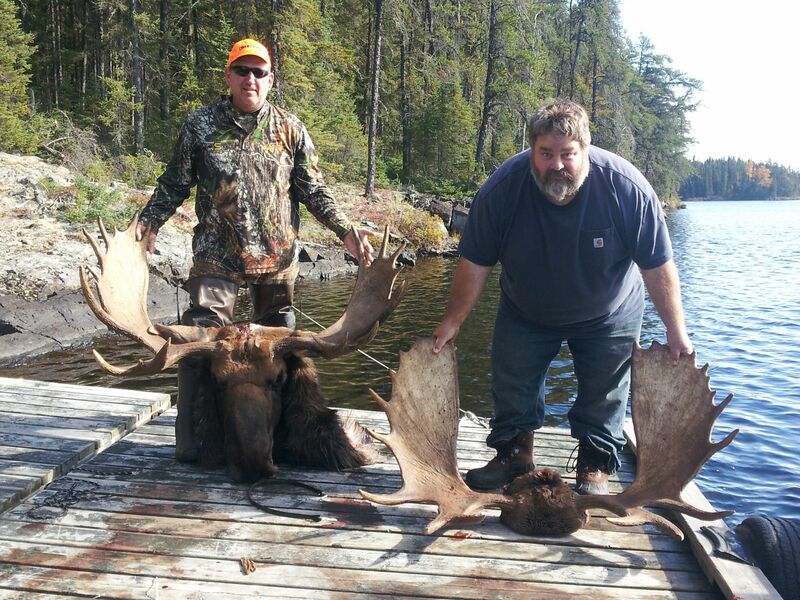 The lakes we utilize have a proven history of success – 75% of all our groups see or kill a moose. The overall average in Ontario is about 30% or less. In our last three seasons we had some higher success ratios. Weather conditions and mother nature has control the rut and the movement of moose on any given day. 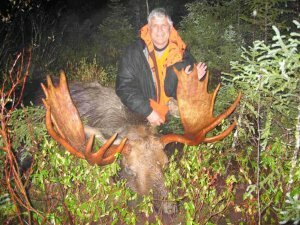 As hunters and outfitters we can only do our best by taking you to proven hunting areas and by providing you with experienced guides expert at calling out moose. We are proud of our honest averages and feel that our success rate is truly impressive if compared honestly with other outfitters. We offer moose hunting grounds that are as unspoiled and productive as any in Canada. Deluxe tent camps are set up well in advance to your arrival on lakes chosen for their isolation, habitat, and accessibility. Large tents with wood stoves (plenty of wood cut in advance), canvas floors, thick mattresses and separate kitchen tent or tarped area make for a comfortable stay. Boats, motors and canoes (on certain lakes) are of good quality and include plenty of gasoline. We also have a limited number of outpost hunts offering the same quality of hunt as described above. For both Flyin Outpost Hunts – OR – Wilderness Tent Camp Hunts plans, we supply boats equipped with cushions, paddles and nets, motors, all the gas needed for stay and detailed maps of the lakes that you will hunt. 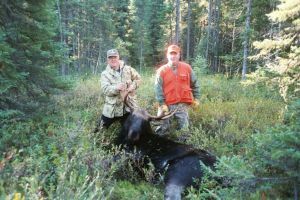 Our fly-in moose hunting Tent or constructed luxury Outpost camps are set up for 2 to 6 persons. Our Zone 1C tent camps (Plan #2 or #3. ) are fully furnished wall tent camps. The tents are large wall tents complete with ground covers, and tarpaulins. A good wood stove is installed for heat. We furnish all the utensils, propane cooking stove with oven, Coleman lanterns, generator, saws, food, and everything else it takes to make a completely furnished camp. The 11th Base Line camps are fully furnished tent camps. The tents are large wall tents complete with ground covers, and tarpaulins. Survey trips are run, weather permitting, at least once a week, usually mid-week. 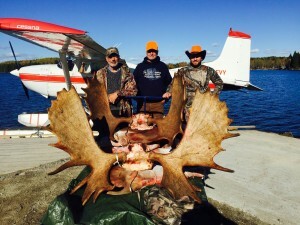 If you kill a moose we will transport it back to the lodge, which is included in our package plan. Processing is not included but is professionally available in Ear Falls where it can be processed to fit your instructions. Early each fall, well before the season begins, we fly-in to our moose camps to check for water levels, beach access and to survey the general condition of our camp sites. As we fly over we check the water levels of nearby ponds, marshes, lakes and rivers. We also look for moose. These informal moose sightings, that we are always able to make, support our belief and our confidence that our moose populations are being sustained at healthy levels, year after year. This is a very remote area, there are no roads, no cabins, no moose hunting pressure. We have held the permits for these lakes for many years. The lakes we utilize have a proven history of success. 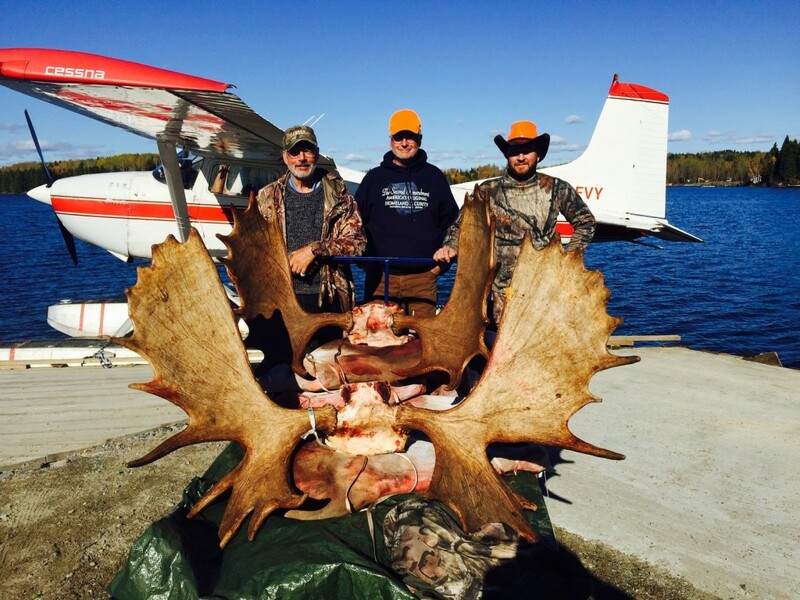 The only hunters allowed on these Canadian lakes, where we hold MNR permits for the season, are our guests. A trophy like this could be yours!!!! 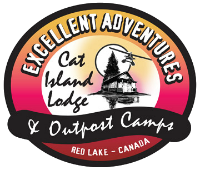 If you decide to join Excellent Adventures for one of the greatest big game hunts on the North American Continent, you will experience the many thrills of such a wilderness trip. the jubilant return of hunters and guide with the prized Monarch of the North. We look forward to the opportunity of having you as one of our hunters. It would be an adventure you will remember for years to come. At Excellent Adventures we pride ourselves in knowing that we have the best moose hunting available in the north. Our years of commitment and experience in offering these hunts & our history of happy guests speak for itself. It is our goal to see that you will get the best hunting and the best service that can be offered. Your success is our success. These “Monarchs of the North”, the largest living members of the deer family constitute one of Canada’s greatest wildlife assets. Make sure and bring your camera, wildlife is plentiful and the scenery is breath taking.